Staten Island, New York -- As the threat of “storm of the century” looms, the Army Corps of Engineers is trying to figure out how to get the New York and New Jersey region ready, but some of those ideas could potentially cause more water to actually hit Staten Island. Representatives from the Army Corps of Engineers paid a visit to the Island’s Snug Harbor Cultural Center and Botanical Garden recently to show residents five conceptual plans that would protect the region from the next storm. But they said at least two of the five options they are currently considering could adversely effect the Island. One of the options includes building a combination of a levee, berm and serge gate barrier system between Sandy Hook, New Jersey and Breezy Point at the Rockaway peninsula in addition to another barrier along the East River west of Throgs Neck. This concept would be the largest and also most expensive with the potential to span over 30 miles and cost $118.1 billion. This option, while protecting large section of New York and New Jersey coastline could result in a build-up of flood waters on Staten Island. 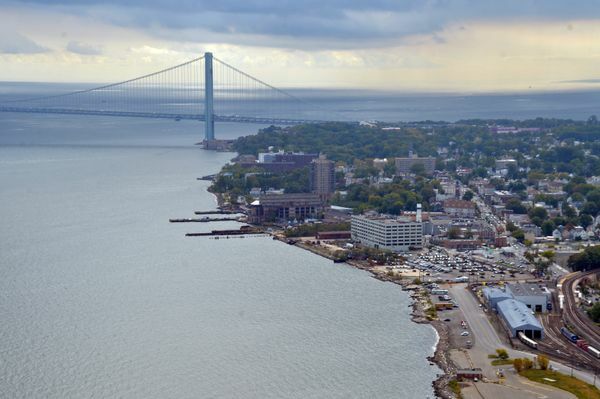 The second option that could potentially harm Staten Island envisions surge gates built between the Verrazzano-Narrows Bridge and Brooklyn and another gate at Throgs Neck. This concept is expected to cost $47.1 billion. Project Manager with the Army Corps of Engineers Bryce Wisemiller, said the agency is aware of the potential of these two concepts to actually back water up toward Staten Island and are looking into how to address these concerns.